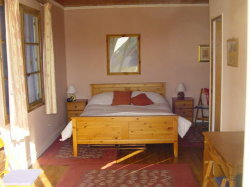 The cottage is situated in a small hamlet, close to Chabanais with all amenities, i.e. supermarket,restaurants, banks, general shops, garages and weekly market. Nearby are attractions including golf, swimming pool,lakes for water sports, canoeing, horse riding, velo rail, fishing. The local unspoilt countryside is ideal for walking,explore the Richard the Lionheart trail and local Chateaux and roman baths. Further afield visit historical towns, such as Anguoleme, Cognac, Limoges, and Poitiers with the theme park "Futurscope". The cottage is fully equipped with central heating, satellite TV and video in sitting room and master bedroom,well equipped kitchen with cooker, microwave, fridge and freezer. Outside sun terraces, equipped with garden furniture and barbecue. 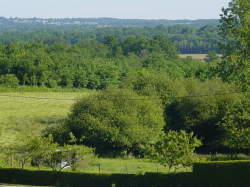 Large terrace from master bedroom affording stunning views of the surrounding countryside. Watch the barn owls hunt in the evenings!! 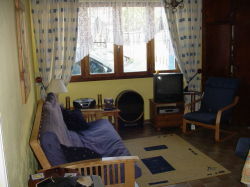 The cottage is 30 minutes from Limoges airport,and 60 minutes from Poitiers airport. TGV rail services to Limoges, Anguoleme and Poitiers. 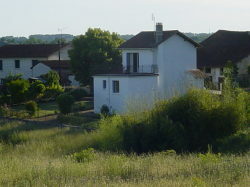 Easy access to A20 motorway and connecting motorways in France and europe.